AVTECH are introducing their new Monitor360 technology to your RoomAlert.com account on the Professional and Enterprise tiers. The new Monitor360™ feature introduces the idea of a virtual sensor. 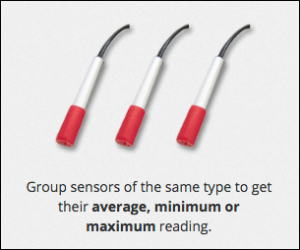 The virtual sensor can aggregate data from one or more sensors and apply a calculation like average, high or low to it. The virtual sensors can be used to create whole data center or warehouse wide statistics. Like what the highest / lowest temperature all of your server cabinet inlet temperature and cabinet outlet temperature. You can also set alerts on your virtual sensors. You can set range based alerts using a vritual sensor just like you can with a regular sensor. 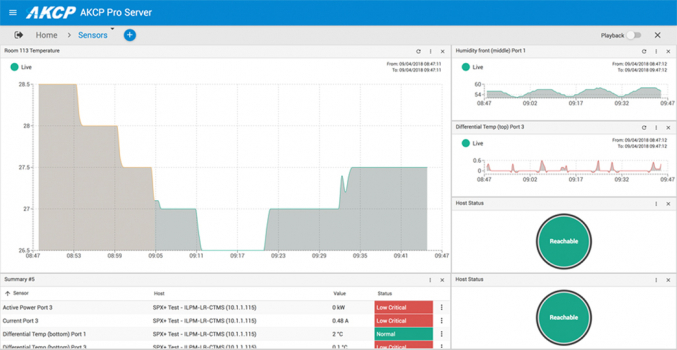 High temperature in the data center – with Monitor360 you can create a virtual sensor that encompasses multiple Room Alert monitors and sensors. If a high temperature alert is triggered, you can also have that same alert notification tell you the status of the Air Flow Sensor attached to the front of your HVAC vent, as well as the status of an Active Power Sensor that’s monitoring the power to your HVAC. If your high temperature alert also tells you that the Air Flow Sensor is closed, and the Active Power Sensor isn’t detecting power to your HVAC, you know there’s a problem with the HVAC. Cold storage and entryway monitoring – with Monitor360 you can create a virtual sensor that monitors the Room Entry Sensor on every door. If your policy is that only one door may be open at a time, and Room Alert detects that two Room Entry Sensors are both indicating “open” at the same time, an alert can be sent immediately. Perhaps a door is stuck open, or maybe an employee has propped one open against company policy, which can then lead to temperature issues (or worse, a security concern). Multiple locations – Room Alert users who have multiple locations and monitors in each site can set up virtual sensors that can average the temperatures across all sites. They can then choose to only be alerted if the average temperature rises above or drops below a certain point. Monitor360 will also allow them to create graphs and reports based on the new virtual sensors, giving them the opportunity to track average, maximum or minimum temperatures over time across all their sites. Large facilities, such as warehouses or colocation data centers – Many large facilities will have multiple Room Alerts and sensors spread throughout their footprint to report on various environment factors based on where the monitors and sensors are located. In a larger facility a temperature fluctuation on one sensor that rises above a threshold may not be as dire as a higher temperature in a 3×5 telecom closet, for example. Much like in the above multi-site example, multiple sensors throughout the facility can all be combined into one compound virtual sensor that reports on the average across all temperature sensors (both internal to the Room Alert monitors as well as external) and only sends an alert if the combined average passes a set threshold. This helps reduce the number of alerts your team will receive and helps you to have a better overall picture of your entire facility. The best part of Monitor360 is that each user can create a new compound virtual sensor based on their own needs and monitoring setup. 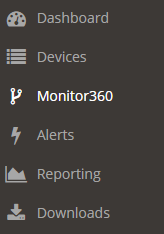 Any factor that can be critical to your organization can be monitored and alerted on as part of Monitor360. 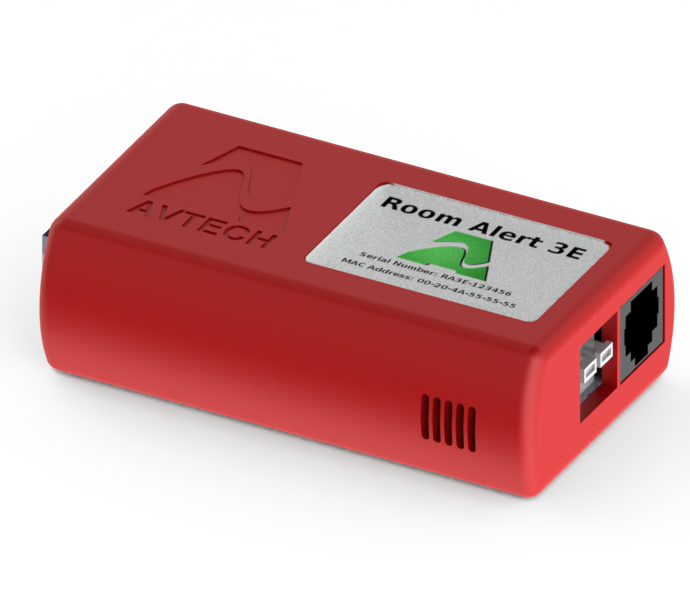 In addition to the new Monitor360™ features, AVTECH have been busy adding new features to the RoomAlert.com cloud service. Simply log into your Professional or Enterprise account at RoomAlert.com and Monitor360 will already be there waiting for you. AVTECH Product News for January 2015 It looks like it is going to be an interesting start to 2015 from AVTECH Software. Two very exciting new products are due to arrive shortly, both are likely to prove very popular with new and existing customers. AVTECH Room Alert 3 WiFi is now available The AVTECH Room Alert 3 WiFi is now available and in stock. The Room Alert 3 WiFi is the new wireless version of the popular Room Alert 3E model. 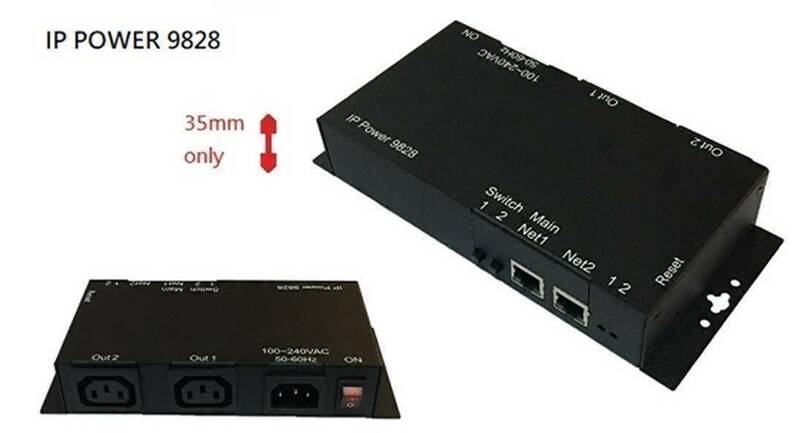 You can now extend your monitoring beyond the reach of your ethernet network. AVTECH Room Alert Planning Worksheets Tailor an AVTECH Room Alert solution to your exact requirements with our new Planning Worksheets. Each Room Alert model page has a downloadable worksheet that shows you exactly the number and type of sensors which fit each Room Alert model. 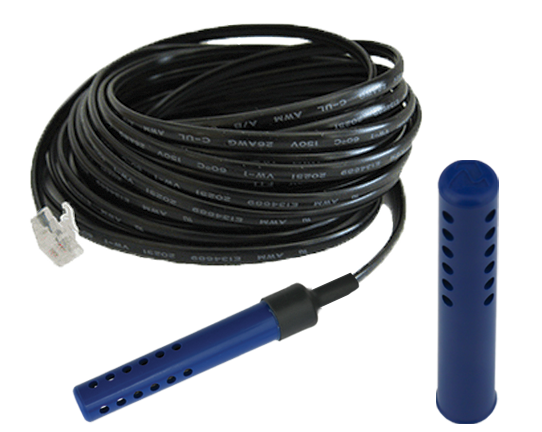 NEW - Longer Temperature sensors for all AVTECH Room Alert models Now it's even easier to monitor distant locations with the longer Temperature sensors for the Room Alert models. Available in lengths of 15m and 30m.